Teasing the Dragon: Why Washington Unleashes Battle of Nerves With China? Antony Blinken's recent remark regarding China's "efforts to unilaterally and coercively change the status quo," in the South China Sea, have clearly indicated that Washington is determined to tease the Dragon, aggravating tensions with Beijing. By comparing China's behavior in the South China Sea to Russia's imaginary aggression in Ukraine, US Deputy Secretary of State Antony Blinken has sent a clear signal that Washington considers it possible to wage a war of nerves on two fronts simultaneously. Mr. Blinken even went so far as to claim that Beijing's land reclamation projects in the area are "a threat to peace and stability" in the region. It could hardly be a coincidence that the Philippines, the US' longstanding ally, has recently released a documentary in which it accused Beijing of invading Philippine territories and grabbing resources. 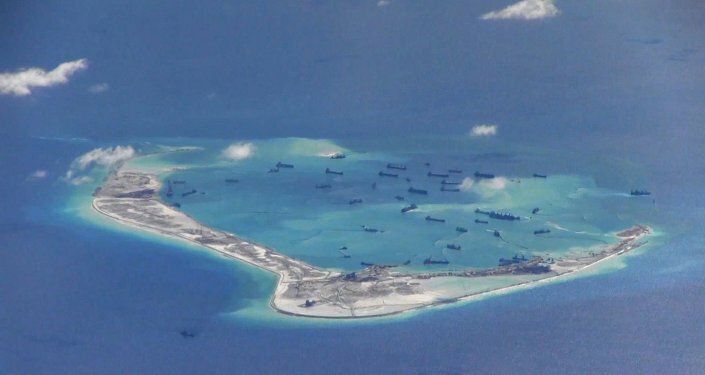 In response to Blinken's controversial remark China has urged the United States to "take an objective view" of the situation in the South China Sea and has warned Washington against inciting tensions between the two countries. 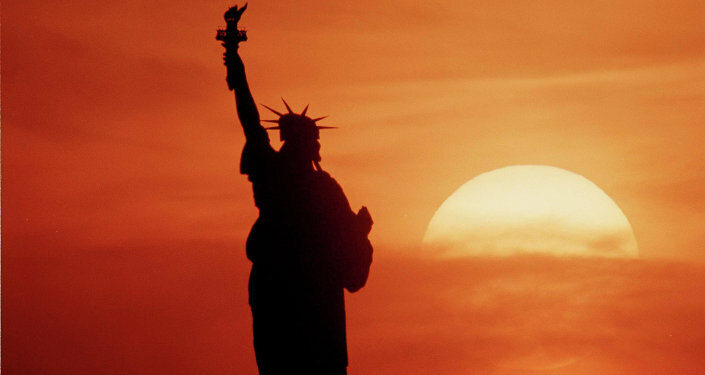 Some experts point out that the United States has recently intensified its warmongering rhetoric, criticizing both Moscow and Beijing in a most harsh manner, at the same time providing no credible evidence to prove its accusations. Washington's dangerous stance may result in a full-scale global confrontation, they warn. "China has enjoyed a political, economic, and now military rise… The problem is that no one knows how that story might end," US political analysts August Cole and Peter W. Singer noted, adding that "The risk is obvious: The once unthinkable is more thinkable by the day, a brewing Cold War between great powers, one that could even turn hot." The point is that Beijing poses a substantial threat to Washington's hegemonic ambition. Chinese geostrategists define the world as "post-American," the analysts pointed out, adding that the military modernization program of the People's Liberation Army is triggering concerns among Western experts. "The Pacific Ocean covers nearly a third of the Earth's surface, making it a large canvas on which to paint a picture of the digital age's first war between great powers. The potential locales could be the Taiwan Strait or an artificial islet in the South China Sea created by Chinese military construction teams. Or the spark for such a conflict may come halfway around the world, driven by China's growing presence in strategically vital areas like the Middle East or Africa's resource regions," August Cole and Peter W. Singer suggested. While some Western experts are weighing the possibility of a third World War, others are pointing to the fact that the widely-discussed "status quo" in the South China Sea is a "slippery concept." New York City-based foreign affairs analyst Ankit Panda underscored that "the 'status quo' is a tricky concept when discussing the South China Sea and means very different things to different parties." Indeed, it is hard to define the "status quo" in the South China Sea, since the disputes involve a vast number of states, each claiming its own share of islands, low-tide elevations, underwater reefs, artificial installations and rights over maritime routes and resources, American analyst Andrew Chubb elaborated earlier this month. The analyst noted that the US has used its "standard formula" of the "status quo" in the South China Sea many times before, usually in relation to China's well-known island-construction project in the region. However, the South China Sea "status quo" formula still lacks any legal basis. "China does not recognize the so-called 'status quo' of the Philippines' and some other countries' occupation of relevant Nansha islands and reefs [in the South China Sea] through illegal means," China's Foreign Ministry spokesperson Hua Chunying emphasized on May 29, as quoted by Mr. Chubb. 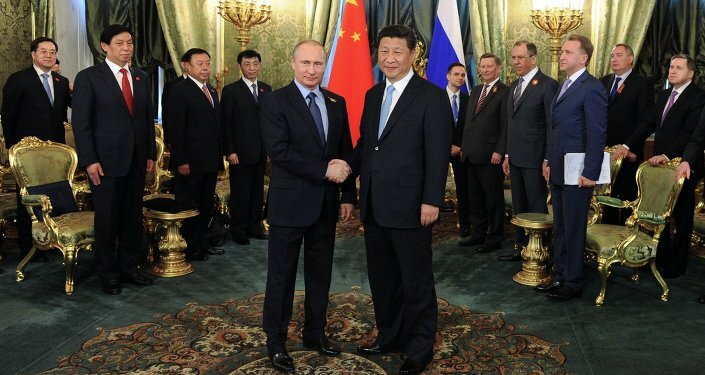 The question remains open, why does Washington continue to tease the Dragon and the Bear, exacerbate the current battle of nerves and deliberately damage relations with China and Russia.